Around 100 senior executives and Internal Audit professionals from private and public sector organizations in the Kingdom, today attended a session organized by KPMG in Bahrain to discuss the role of Internal Audit in preventing and addressing cyber-threats. Held under the theme “Why cyber security and the changing role of Internal Auditors", the event shed light on the potential impact of cyber-attacks on business’ operations and the actions organizations should consider to manage such risks effectively. Jeyapriya Partiban, Partner and Head of Risk Consulting at KPMG in Bahrain, welcomed the participants and explained how the topical subject of cyber is highly relevant to individuals and employees, explaining the role everyone has to play in protecting themselves and the business against cyber threats. She also noted that the maturing profile of cyber attackers, is making organizations in Bahrain and world-wide more exposed to data risks than ever before, emphasizing the integral role of Internal Auditors in helping businesses meet these challenges. 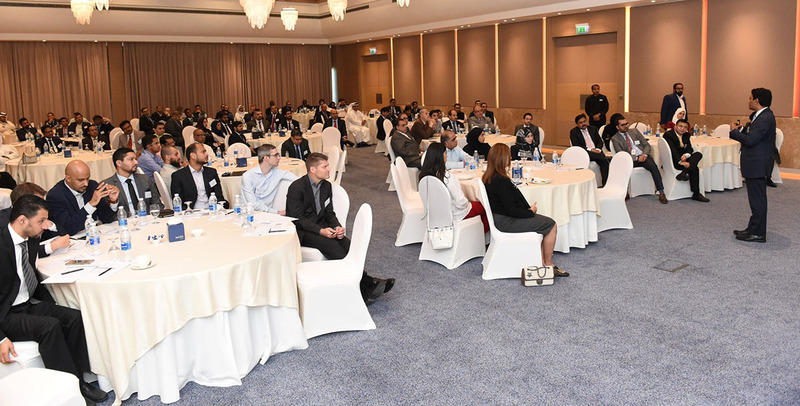 Sony Anthony, Partner in Cyber Security at KPMG in India, was the key guest speaker at the event supported by Padmanabhan Nurani, Associate Director in Management Consulting at KPMG in Bahrain. The presenters shared the results of a global KPMG survey of 250 IT Internal Audit professionals, which highlighted the shift in internal auditors’ focus, from core operational and external risks, to playing an integral role in managing emerging risks, such as robotics, cyber and internet of things etc. “Cyber security is a serious threat facing organizations and businesses, and it is no longer the sole responsibility of IT security, but rather a combined responsibility of boards, management teams, and all departments and functions that use digital assets in their business processes. Therefore, it is important that organizations invest in developing and implementing overarching strategies to detect, respond to, and recover from cyber-attacks and related activities.” Sony added. The interactive discussions also featured detailed insight on security metrics and red team, from process, technology, environment and vendor perspectives, which internal auditors should consider when putting together cyber security strategies. The event took place on Wednesday, 29 November 2017, at the Downtown Rotana Hotel. For more information about KPMG in Bahrain’s Internal Audit related events, please contact Khalid Seyadi, Senior Marketing Executive at KPMG in Bahrain, kseyadi@kpmg.com.